On behalf of my family, I would like to welcome you to Tribute National Talent Competition. It seems hard to believe that it has been over eight years since I made the choice to make some changes in my life by following my heart. I have to say that looking back over the last few years the choices I have made have created memories that I will remember and cherish for a very long time. Tribute continues to grow each and every year while still at a pace that allows me to always be involved in every detail and to attend every event. I am so humbled by the overwhelming love and support my family and I have received from the beginning. As many of you know I have been involved in the dance industry now for over 27 years and it has truly been an honor and privilege. I have learned so much over all these years and continue to be open minded to learn even more with each new day. I am very proud of what Tribute stands for in an industry where competitions and conventions are plentiful, each with its own set of morals and principles which define who they are. Tribute is truly more than just a dance competition. For those that have attended our events you know one of the most important trademarks of my company is the Tribute to my Parents Award. So many times I hear others say “Oh, the competition with the essays! !” which I am very proud of for many reasons. When I present this award it is so powerful and a silence covers the entire auditorium as the essay is read out loud. At that moment the trophies and awards become less important. The emotional essay about the love and respect a dancer has for his or her parents is absolutely wonderful and provides such a positive message for us all. This award has truly made Tribute different from other events as we give a moment to share unconditional love and appreciation while providing a professional family atmosphere. Tribute has returned over $30,000.00 in entry fees to the families of the essay winners in its first seven seasons. • We do not advertise in magazines, mail flyers to dance studios or focus on aggressive marketing with phone calls. From day one, our growth has come from the kindness of others who share their firsthand experiences with those they know. For our family this means something very special since we don’t market our company in the ways others might and are very grateful for the referrals. We continue to stay focused on what we believe in and what we want Tribute to stand for today and in the future. • Dance and School are both very important and need to be considered when producing a dance competition. We know that many schools have strict attendance policies. Therefore, we want to make every effort not to interfere with school by having parents take their children out too early on a Friday. Starting a competition before school is even dismissed for the day is something that will not take place. We also understand that many parents work and it is not always easy to take time off or leave early from your place of employment. At Tribute no event will start on Friday before 4pm. I feel that the education of your children is very important and I will always make sure that this is a priority when scheduling my events. • Limited number of acts accepted per city to allow for Friday – Sunday only events. Having an event during the week is very difficult for families and also for most teachers who hold dance classes during the week. NO competition on Wednesdays or Thursdays. In addition, I will not host an event that has multiple rooms for competition. It is very hard for teachers to be in multiple rooms and at times can miss one of their routines taking place on another stage. So at Tribute all events are in one location and on one competition stage allowing for teachers and parents to see all of routines from their studio. • We limit the number of events per weekend to just one and we do not have multiple shows each weekend. This will ensure you receive the highest quality and standards at each of our events. • No event will ever be held on Mother’s Day or Memorial Day (family time). • In the past, we have donated funds through our 5678 Donate Program to many large national organizations. For the future we really wanted our donation program to focus mainly on helping dance families that we see at our events. As we did this past season, we are going to continue to make donations privately at each event to families who are experiencing some hardships and need a helping hand. Studio owners and their staff will play a huge role in nominating a family from the studio who may need financial help. Just send us an email to tell us a story about this family you would like for us to consider for a donation to help them financially. With this personal approach we have met several families who really needed assistance and being able to give them a donation face to face with the studio owner present is something my wife and I will remember for years to come. • Two levels of competition with the SAME cash awards for both divisions with NO minimum acts required to award cash prizes. 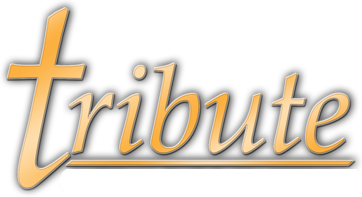 Tribute awards over $6,200.00 in cash prizes at each event. • ALL PRIZE WINNINGS WILL BE IN THE FORM OF CASH PRIZES AND NO GIFT CERTIFICATES WILL BE AWARDED. I think that a gift certificate does one thing: It gives a studio owner NO other option than to bring their studio back to an event to use it for its value. So in all honesty, I feel a gift certificate is nothing more than trying to regain business when it should be about giving the dance teacher and his or her dancers what they have earned for their hard work. I don’t want anyone to ever feel obligated or forced to attend Tribute, I want teachers and families to be there as a choice that they make on their own for their studio. • FREE PROGRAM BOOKS back when I started Tribute in 2011, I wanted to do things that were not the norm in the dance industry. So one of the things I created to help families was to make all program books FREE instead of the normal $8-$10 for a program. This has really made an impact in the industry and now many competitions and conventions have followed our example and provide program books online for free. By posting them online everyone can print a free copy days before the event. Our books also include the “Tribute to Family and Friends” giving everyone the opportunity to share personal comments of love and support with others. • We are always trying to think of ways to help others so we created an industry first with a new category called “Just for Fun”. This NEW category is for first time dancers or non competitive dancers who have NEVER attended a dance competition or performed on stage in front of judges. Each dance studio that attends a Tribute Event that has registered a minimum of 10 group routines can register ONE additional group routine (Small, Large or Line) in this category FREE OF CHARGE. This will allow for dancers to experience a dance competition to see the excitement of performing in this environment. This will also give parents who have not attended a dance competition the opportunity to see firsthand what dance competitions are all about without having to pay an entry fee for their children. • Offering a reduced entry fee to $20.00 per dancer for groups with an average age of 4 & Under. • Created a “Special Angels” Category for special needs children to have the opportunity to perform free of charge in a group routine. • With the importance of family we created the “Family Category”. This category allows dancers and their parents and family to perform together or just parents by themselves to perform a special number. The entry fee is reduced to $25 per dancer and parents dance for FREE. These routines are always very entertaining and special. • Tribute proudly makes donations that help children and families with our “5678 Donate” Program. These donations are not raised by asking for donations from individuals. This is just a way for our company to give back to families who greatly need our support. Over the last 7 seasons we have donated over $50,000.00 to help others. 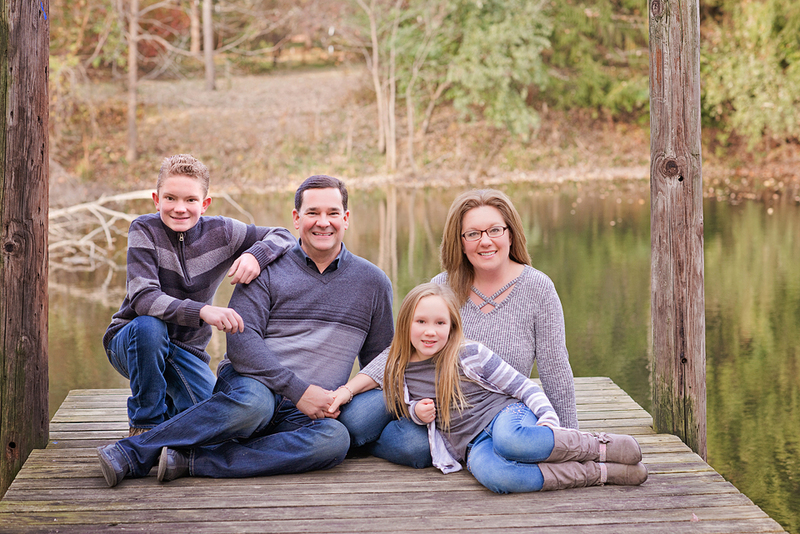 • FREE VIDEO AND PHOTOGRAPHY PASSES From day one at Tribute, we have not charged a MEDIA FEE and prefer to NOT make revenue from the sale of videos and photos that are being purchased by studio owners, teachers and parents. We want to allow the studio owners to decide what is best for their families to provide important keepsakes for memories that are cherished. Each studio in attendance will be given FREE OF CHARGE photographer and video passes to use during the competition. This allows the studio owner to select in advance representatives or parents to take pictures and videotape routines for all of their studio performances. All ID passes must be worn by the studio representatives at all times. Tribute reserves the right to inspect cameras brought into the theater at any time. Tribute has the right to revoke any photography or video pass at any time for any reason. We do not LIVE FEED our events in order to protect the dancers and the choreography the teachers create. • Energetic, Enthusiastic and Knowledgeable Judges with their bios available in each program book. • With an owner who has years of experience you can expect every detail of production to be extremely professional. • To focus on the importance of love of family by taking the time to know our clients on a personal level. • Superior Customer Service with a loving and caring staff always available to assist you. As the owner of Tribute, I will always be present at every event from start to finish and available to care for our participants needs and concerns. In producing a successful event I know first-hand that it takes a staff working together as a team. My staff and I will be together at each event rather than separate teams for two or three shows at a time. I have always seen those who work with me as a part of my family and therefore I will not split my staff. Working as a family unit to make each event a wonderful experience for everyone will be my number one goal. You can be assured that all of my staff will share with you my values and a sense of family and friendship that is so important and comforting. We look forward to seeing you very soon to share the genuine Gratitude, Respect and Admiration that you will receive when you attend Tribute National Talent Competition.